Cogent Systems have been awarded an initial $11 million contract from the Spanish Ministry of Interior, General Directorate of the Police and Civil Guardfor a national criminal automated fingerprint and palmprint identification system. The new system will be used by law enforcement officials for the Spanish National Police and Spanish Civil Guard and will integrate with the Ministry’s criminal history system, with other European AFIS systems via the Pruem Treaty and Interpol. Cogent Systems will serve as prime contractor on the project which can support over 500 workstations nationwide and includes Cogent’s livescan units and mobile ID units. SOUTH PASADENA, Calif. — Cogent Systems today announced an initial $11 million award from the Spanish Ministry of Interior, General Directorate of the Police and Civil Guard, for a national criminal automated fingerprint and palmprint identification system. The new state-of-the-art system will be used by law enforcement officials for the Spanish National Police and Spanish Civil Guard and will integrate with the Ministry’s criminal history system, with other European AFIS systems via the Pruem Treaty and Interpol. Cogent Systems will serve as prime contractor on the project which can support over 500 workstations nationwide and includes Cogent’s livescan units and mobile ID units. Spain has been a long term user of AFIS systems and has also done some pioneering work on dactyloscopy. This new system represents a significant leap forward for law enforcement in Spain and will allow for much closer integration with other important databases such as the Shengen System and Interpol. “We look forward to working with Cogent in building the most advanced system available today,” quoted a senior law enforcement official in Spain. Cogent is a global biometric identification solutions provider to governments, law enforcement agencies, and commercial enterprises. Cogent provides the highest quality identification systems, products and services with leading technology, accuracy and speed. 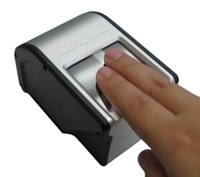 Cogent’s Automated Fingerprint/Palmprint Identification Systems, or AFIS, enable customers to capture fingerprint and palm print images electronically, encode prints into searchable files, and accurately compare a set of fingerprints/palm prints to a database containing potentially millions of prints in seconds. For more information, please visit http://www.cogentsystems.com.